When one of the internet’s biggest sites goes down, you know users and keyboard warriors are going to respond appropriately. 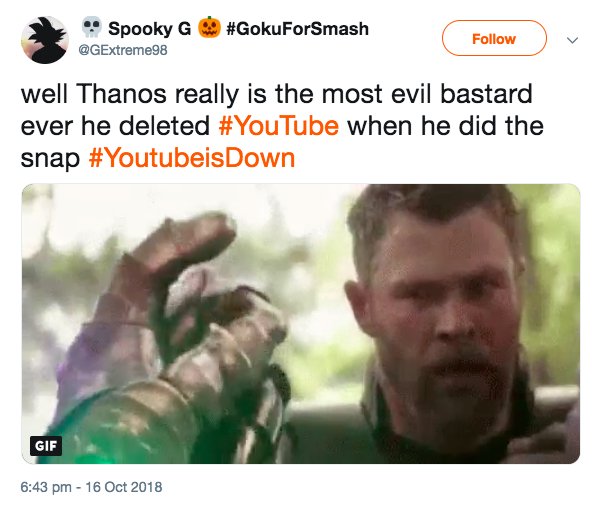 YouTube is a big’un, people need their videos! Where else can you watch endless compilations of old Vines, learn how to fix a plug and watch interviews with your favourite artists from 20 years ago? Last night, October 16, however, everyone’s favourite video site went down. Users were noticing error messages and outages lasting for over half an hour. So what was it all about? 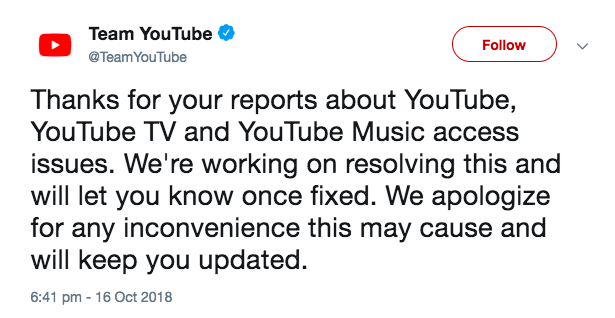 Well, YouTube have said they’re working on it, without really saying what ‘it’ is. Some users, however, think they’ve figured it out. Some people, though, think it might take more than some internet wizardry to fix the issue. And who’s to blame? 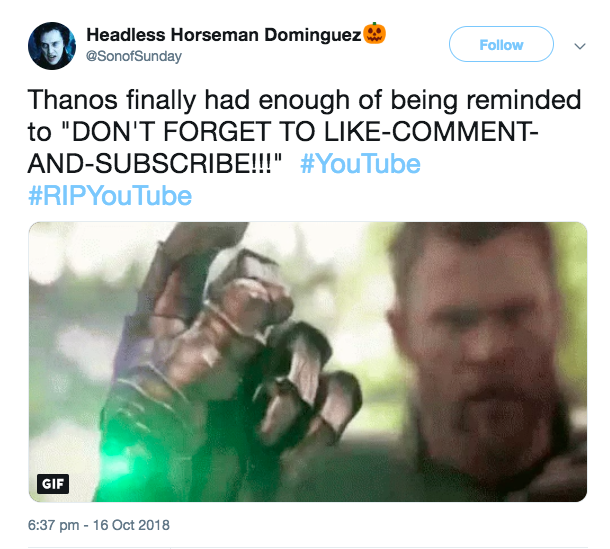 Thanos, of course. The big bad baddie from Avengers: Infinity War who went rogue and wiped out half the universe and many of our favourite superheroes in the process. Some people just can’t handle a joke y’know. 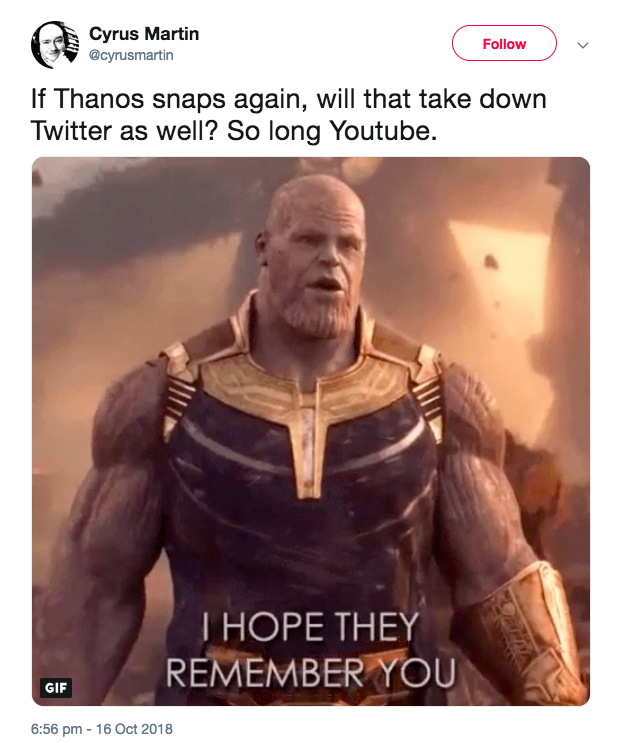 If Thanos snaps again, will that take down Twitter as well? 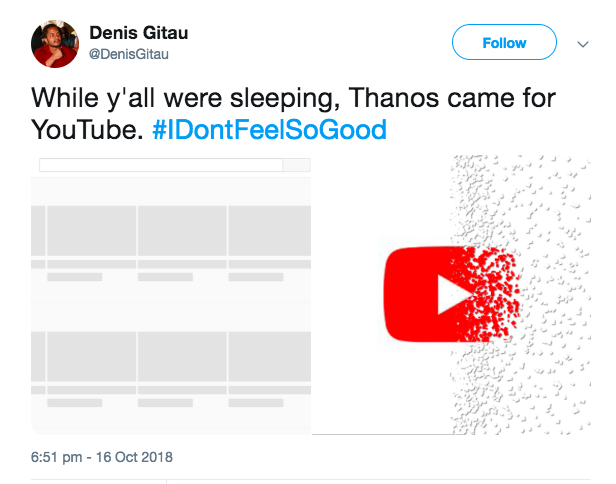 So long Youtube. 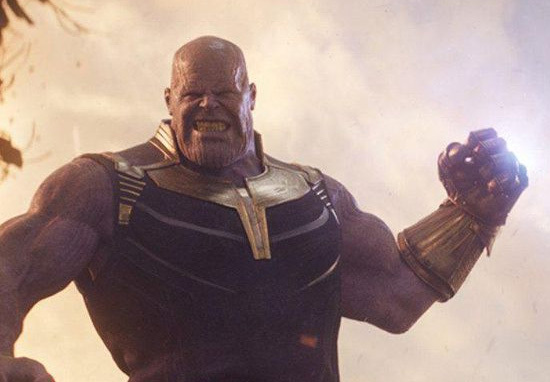 But why is Thanos so intent on wiping things out? In the comics, Thanos wants to get rid of all life to impress Death, or at least the concept of it. In the films, however, his intentions are more… moral. We talked about his motivation, and much of the motivation connected to Lady Death is about balance. It’s the balance between life and death, the belief that life was getting unchecked and out of hand and there needed to be a correction. We wanted to make that the driving force of Thanos and his backstory. That’s where Chris and Steve and Joe and Anthony found a more natural, grounded way … well, as grounded as a giant Mad Titan can be. We also wanted to create a really incredible arc for Zoe [Saldana] to play. She’s probably the most heroic, brave character in the movie. So that, to us, is fulfilling the promise of the storytelling that we have in front of us, versus trying to bring together 23 superheroes in a satisfying way while introducing an ancillary character who doesn’t mean anything to them.